Home Business- The Social Media Success Path-The 4 I’s? There are many great trainings out in the marketplace, and many great trainers. But this article could rock your world. The plethera of great social media home business trainings out in the marketplace are amazing. I love reading and learning and new ideas. Especially in social media. We have developed more business internationally via social media then we ever thought we would and it has been quite an effort we have put in. Home business social media training is getting to be one of the most powerful educational field in MLM and Network Marketing. That is why at Passionfire that we have been training for 6 years in this powerful media. There are great people as well that I truly admire that are great in social media as trainers. Diane Hochman, Jackie Ulmer, among others. Many people like them in social media market products, messages, ideas, books, CDs, trainings, ebooks, audio books, member sites, health products, travel products, legal products, and many other things. We all are marketing something. And in every business strategy, there is some form of a process. A process is a step by step PATH that you can follow and it produces the RESULTS or destination that you are looking for. 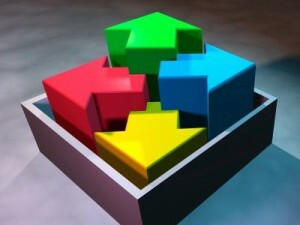 Many folks in social media follow a process whether on twitter, facebook, youtube, flicker, and any other social site. Just check their online tutorial. It shows you for the most part, a step by step process on how to use the social site. Most people that are marketing in social media have a message that they are marketing. Yes, I have a message as well, and it is about Home Business and Social Media Marketing Success as part of it. A message without an audience is nothing more than a great conversation with yourself. You MUST get it out and in front of people. THAT is how you create a business. Exposure-Exposure- Exposure. How can you create Exposure for your Home business Message or Products that will MOVE PEOPLE to want to know more and to possibly purchase your program, product, or message? HOW can you start a “People Moving Process” that will help insure your network marketing efforts are not in vain? We developed a while back the “4 Is of Social Media Marketing.” The last 3 years we have been blessed to increase our online revenues by an incredible amount — by using this process in social media, and in other online marketing efforts. We cannot go into detail the minute details of the process due to lack of time, but we can overview this powerful process. 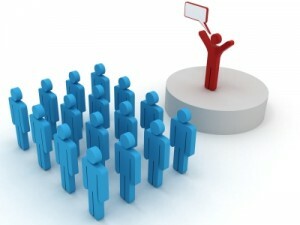 The marketing process starts with informing folks of your message or home business products. This is a result of creating an exposure of YOU and your message. You first must connect with people, and build that bridge of trust, and then you can start informing them of your message of VALUE. You can do this with many vehicles, including free ebooks, white papers, articles, videos, and podcasts. You can inform people how your message will help transform their life and future. You can see people doing this with some amazing health tips or success tips sent out and info as well. And you can see GREAT information on many social sites and blogs as well. Giving out HOT information for all to use freely is one of the great secrets of home buiness social media marketing. Lose control of your information and watch it virally market like crazy. Inform people of who you are, why they should listen to you, and what you or your product can do for their life to take it to a radical new level. Once again, do this with videos, blog posts, mp3s, notes, tweets, pictures, direct messages, social email, free ebooks, and other social tools for exposure. Your MLM message must IMPACT people. This is how you get people to move towards you to learn more about your product or message. a) HOPE of solving a problem. b) A HOW TO they have been looking for and seeking. c) NEW POSSIBILITIES for their life. e) LITTLE KNOWN INFORMATION but applicable and highly useful information. d) A DISCOVERY of a new website, new podcast, blog, or video that will MOVE THEM emotionally and give them something that they find valuable. Become KNOWN that YOU are a deliverer of Practical, Powerful, and Unique information, that points to your message or product. Example: if you market a nutritional product- give out GREAT nutritional tips that will help people via blog posts, articles, videos, or any other media that works for your message. I call it “Sample Results.” Give them some “samples” of results they can achieve by listening to you and purchasing your products. You do this with great, valuable information they can use. STIR THEIR EMOTIONS with IMPACT. If you do this, your power to move people will explode. To really market to people in social media, you must Take It Offline. You want to establish a more personal and trust soaked relationship. You rarely can do that by just being online. You do this, by inviting people to special conference calls, training webinars, live online seminars, and local meetups. This is where you can EXPAND YOUR MESSAGE and EXPLODE your INFLUENCE on a more personal and face to face basis. Whether facebook or LinkedIn, you can invite people to offline events that will create a more intimate and powerful CONNECTION with them, and you provide even MORE POWERFUL and USEFUL information to the prospect base on the call or webinar. This will POSITION YOU as someone that is worthy of being listened to, and will dramatically increase your perceived expertise in your industry. And You can do the offline event yourself, or do it with multiple guest speakers. You can find events with 4 or 5 people that are the speakers or trainers that bring amazing value to anyone online. Take It offline to MOVE PEOPLE even closer to you and your message/product. This is THE PEOPLE MOVER. Show people how YOU, YOUR HOME BUSINESS MESSAGE, or YOUR PRODUCTS can IMPROVE, INCREASE, MULTIPLY, or ENLARGE people’s lives and interests, and they will beat a path to your door, and multiply your message all over the internet. Quit just trying to move products in social media. That is how people that mostly fail do it. MOVE PEOPLE and LOTS OF THEM on the inside and outside through the 4 I’s. This is a powerful social media marketing secret that can help you create results that most only dream of. No one will see much of anything in their business if they do not have a path or track they can use. This track I have given you will help you in your social media efforts if you use it. You can duplicate this track easily, and it is a step by step process. we have been doing this process for 5 years and has proven to work great. Use this path and see what kind of Success you can obtain in your home business social media efforts. Discover how social media can explode your home business recruiting success with Social Network Marketing! Home Business Training- A Billion Dollar Paradigm Shift? success requires growth and transformation along the way, no doubt. Many people today play with their home business. They refuse to GROW and STRETCH themselves like they should. They need to create a paradigm shift that will take their Thinking, Belief, Expectations, and RESULTS to a level they never thought possible. If you do that one thing- people will start RESPONDING to you differently. They will be more positive as they will FEEL a level of Success they do not have in their life. You may not be there yet yourself, but you must create that paradigm shift in your mind. But a BILLION DOLLAR Paradigm Shift? That is what happened to me with the 7 Billion Dollar Networker.He totally shifted my paradigm from thinking MILLIONS to BILLIONS in home business volume. Think about the change and the level of thinking that would require from someone. 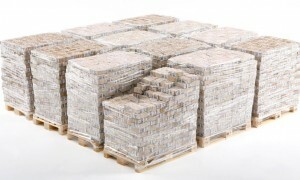 A Billion dollars is a LOT of volume and money. So is a Million dollars, but what a shift in thinking that does to you. When I made the Billion Dollar Shift in the mid 90s it was awesome. I started thinking much bigger and expecting much bigger. And it showed in how people responded to my conversations. “Billion” was not a part of most people’s perspective, and it really STRETCHED people in their home based business. What about thinking about doing a BILLION DOLLARS in volume in your home business? Does it feel like it would FORCE YOU TO GROW? It would DRAW people towards you, as most do NOT talk billions. 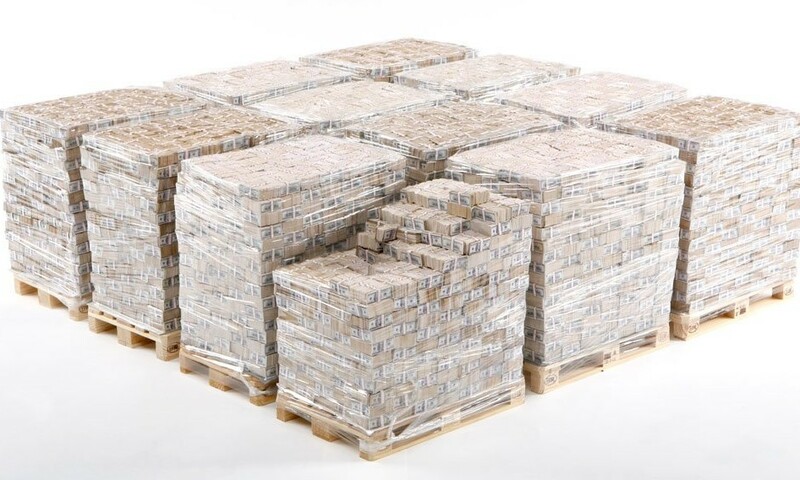 And when you tell someone that your goal is to help the company build a Billion Dollar Business…. THAT will get people’s attention in a whole new way. Your home business would take on a whole new level of image and power. Have YOU thought of moving into the Billion Dollar Zone? The first time I was introduced to think a Billion Dollars, I laughed. It was so foreign and out of reach. I was struggling to pay bills. But once I got a hold of it and understood that it is just a different and higher level of conversation, it eventually started feeling normal and natural. And since then, and because I embraced the possibility…I have been blessed to build a Billion Dollar Success story. Moving your prospecting success to a level that maybe may feel uncomfortable, but I can tell you- it will transform who you are when you move to that level. Yeah, you may get the nay sayers and the neg-heads as I call them. But you will start seeing what is REALLY possible in your home business and MLM. Do YOU have the gumption and the GUTS to take it to a Billion Dollar Level and Zone? If you do, then you will enroll in the Billion Dollar Prospecting Course. Do NOT be just the “freebies” takers that are not willing to invest in their home based business. Most people spend more than 37.00 at a dinner that is unhealthy and will not change anything their life. Folks, we are talking LIFE Transforming here and Business Transforming education. I encourage you to move to the Billion Dollar Level of Success! That is what Billion Dollar Prospecting will do- take your Lead generation to a whole new level and create a radical prospecting paradigm shift. But do you have the GUTS to DO JUST THAT? … and QUIT PLAYING WITH YOUR BUSINESS and SUCCESS. It’s TIME to GET SERIOUS Folks. NOW! If I did not think this would help your business — I would not be talking about it. If you are in network marketing, start RISING to the Level of a Billion Dollars at least in your mind. That is so critical as it will set you apart from the majority of people in network marketing. YOU are the BEST and deserve the best that life has to offer. RISE to the Billion Dollar Level NOW! That thinking and belief level alone will start transforming your Success in your MLM Home Business! Network Marketing- The Words that Turned My Business Around in 30 Seconds? Home Business Success can be a challenge to say the least. I used to be the world’s most prolific quitter of this network marketing business. I quit on the average about 4 times a month when I was in the fire of things and recruiting like crazy. Let me clarify….when I was struggling like crazy. I often said “This is stupid. I am NO good a this. I can make more money bagging groceries.” And then I would think for a while and then decide to try again. And I got REAL tired of trying network marketing and nothing happening. My home based business was becoming a Home BOMB Business because I was bombing out big time. For the life of me, I could not think of why everything I was trying…was not working. Folks, I am talking for THREE LONG YEARS- I was like Moses in the desert. All I was getting was a bunch of sand. Then my mentor, who I call “The 7 Billion Dollar Networker” said something one day that hit me like a ton of bricks. I always had a tremendous amount of respect for his genius in this business. But that one day, my respect for him grew even more because of what he said. Those words changed my whole career in the Home business profession. And all it took was 30 seconds for him to turn my business totally around. THAT was a Divine Revelation and a Power Boost for my Home Business Success that is STILL working in my network marketing success. Want to Discover How To Turn Your Business Around in Less than 1 Minute? Home Business- Are You Talking OPTIONS When Recruiting in MLM? “Options in life are the Magnet to a home business. 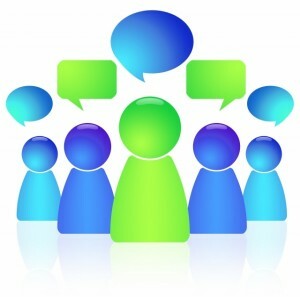 Talk OPTIONS with your home business. Options are part of the GOLD of a powerful network marketing home business. Simply ask what their options are if their income should stop or if they even have any. A “Security Option” for an income – is a powerful option to have and to bring up. You can provide that security option with your mlm home business. 3 CONTENT RICH Training FR-EE Bonuses! Explode your Home Business With the Remaining Summer days! Explode your Prospecting and Leads Generation NOW! MLM Training- What Causes The Fear of REJECTION? training has plenty of fear-if you allow that to be a part of your business. 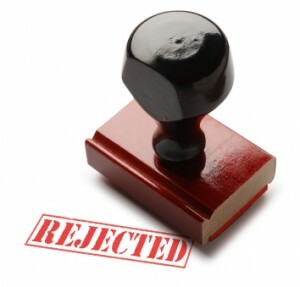 Fear of Rejection is one of the most powerful in MLM and even in social media and social networking. I have seen this for the last 25 years as well as the last 6 in social media. There are many causes to the Fear of Rejection, but I have found that you really cannot conquer it until you know the SOURCE or REASON for the fear. I am sure that you have felt that knot in your stomach when thinking about calling someone. I have felt it before and it is a VERY uncool feeling. I remember that feeling when one person in particular I called. I thought I was going to toss some cookies I was so nervous. This is the biggie. 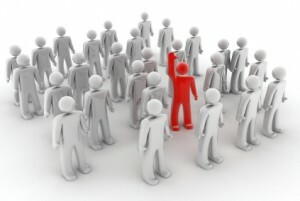 Many people in MLM and Home business want people to approve of what they are doing, and approve of them. This one is one that must be dealt with as “approval-itis” kills many a home business. Feeling of abandonment is another issue. Without getting into a psychological discussion, this cause can be crippling to someone calling people as they do not want to feel like the person is going to leave their business. 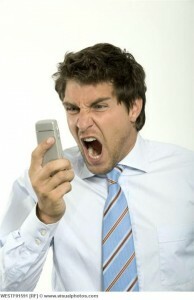 Many distributors/consultants have what Icall the “No No” syndrome. many people ina home business think that they are doing something wrong. What happens when we are babies, we hear the word NO 80 times more than the word YES. We are programmed for that word, and mindset. NO = You are doing something WRONG. And many people in network marketing still struggle with that syndrome. The feeling of inadequacy seems to be another big problem with folks. They feel they are “not enough” to succeed in a home business. So they never call anyone because if they do, then their “lacking” will be discovered. This is quite a strong issue with people who have done MLM before. We live in a Doubt Focused world. That is just the way it is. But if you are going to succeed you must live in your own FAITH focused world. We doubt because of what has been spoken into us and over us by others. This makes us doubt ourselves when we call people, and thus, we do not. Rejection through life is a biggie as well. I experienced this in life growing up, but was blessed to get beyond it my freshman year in college. What has happened in your life as far as rejection cannot be changed- but you CAN change how you respond to those memories. You can either control them, or let them control you. 7) The emotions and mental pictures you have to deal with. We all have mental picture and emotions we deal with on a daily basis in a hone business. They are either pictures of Success or struggle. Your life always moves towards what you have pictured in your mind. If you see your business struggling, it will. If you see your business succeeding, you will. That is up to the movies that you play daily in your mental theater. Fear of Rejection can be conquered, and easily, if you identify what is the ROOT CAUSE of it. This fear can stop you working social media. It can stop you working the phones. It can stop you working this business. Define YOUR cause of fear of rejection if you struggle with that and in another post, I will give you some powerful ways to overcome that in your MLM and home business. is new and many home business owners are now engaging it fully. Social media home business usage is a fast growing part of network marketing. It is growing at lightening speed and getting faster by the day in a home based business. Many internetwork marketers (the fusion of network marketing and internet marketing) have staked their claim and brought in cool new technology in the home business profession. But none the less, there are many good people have brought in some great web software developed by good code writers. In social media, the same applies. There are good social technology developments and apps that have accelerated your ability to market profoundly. 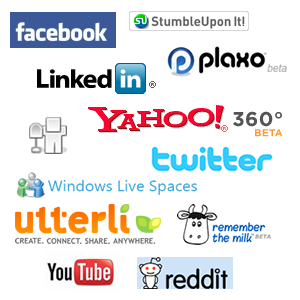 Many entrepreneurs have use a lot of the social tool sites. There are many for twitter.com, facebook.com, and many more. But there are also less known sites but GREAT for the home business owner who uses social media everyday in their business. Good reason to use them. 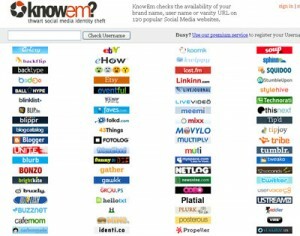 That is how many social sites it will check for you to see if your social moniker is available. Then they will go and set up all your profiles, for a fee of course, but well worth it. I have use them and they really did a great job getting backlinks and also the profiles set up. If you are looking for a rapid way to get out your name in social media, or at least to save your name knowem.com I believe is a great tool for that in social media home business. Trademark Protection, Search Engine Marketing and SEO Agencies. Not bad for a social site that checks your name on social sites. They have several plans for business and personal use, so check them out. I believe it will be well worth a look. Am I getting anything for writing this? Just wanted you to know about http://knowem.com if you have not found out about it. Just like all the other social tech apps out there, this is one of the best that can fit your social media blueprint well for your MLM business. I believe it is a rocking hot social tool for your social media home business. Have Your Discovered Social Network Marketing Success? This training course will take your home business social media to unparalleled Success in building your home business! MLM – The ONE Question You ALWAYS Ask in MLM Recruiting? for your home based business requires the right stuff. It is a powerful way to work in social media, face to face, public meetings, in home parties, and just over a webinar or cell phone. PULL Recruiting is a powerful way to build a team. In today’s world, microwave speed communication is standard. In the news it is called ‘sound bytes” and that is what they are. They speak quick, a couple of sentences, if that. We all communicate today differently than we did even 15 years ago because of technology and culture. This is a question in home business recruiting that STOPS the person for a second- and makes them think. In today’s world you must get their attention and a Stopper Question does. It has IMPACT and it says that this not just another communication. There are many many MLM home business recruiting tactics out today that have proven to be successful. There are tactics for social media and social networking. I have been blessed to teach a lot of them and learned a lot from other folks too! There are home business recruiting tactics in party plans, and I have done a lot of work with those kinds of companies. There are internet driven recruiting tactics and we have been blessed to have a lot of success online. There are a TON of good teachers out there as well that train on how to do this. But no matter the style of recruiting and sponsoring new people in your home business, there is ONE QUESTION that you always ask the prospect. And surprisingly many do not. That means they are looking for something in life that is not there currently. Many people often do not even realize they are looking for something until presented new possibilities for their life. Sometimes, you have to “scratch that itch” if you will for that Looking to start. And when you start talking about lifestyle and success they have never experienced, it can start them looking your way very quickly. So with that understanding, what is the ONE QUESTION in MLM recruiting you should ALWAYS ask no matter whether it is social media offline? “Tell me about it.” And then LISTEN. People are drawn to those kinds of people that are looking to do better, and want to help others do the same SINCERELY. Your question MUST come across like you are sincerely interested and care to know. I cannot explain in this brief article why this works so well as that is a much longer write, but I can tell you…IT DOES WORK no matter the communication arena. Whether on facebook, twitter, or LinkedIn, ask this one PULLING Question and you will find your prospect moving towards you in the conversation because in your home business, you have asked THE ONE QUESTION that draws people into your MLM recruiting conversation. And their answer will let you know where you need to take the conversation to start talking to them about their own home business in mlm recruiting.